Note the red lines which indicate the level of the reservoir in Year 2002. The reservoir level has fallen over 18 feet since October 2002. Here is a link to the photos of 2002: The Year 2002 Drought in the Southwestern U.S. 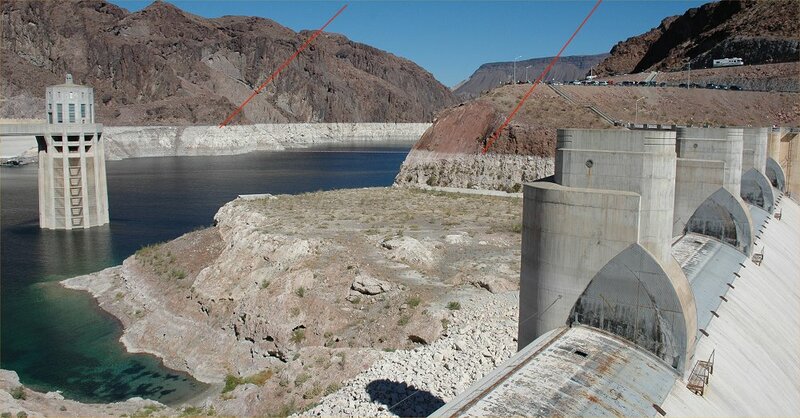 The Elevation of Lake Mead has been falling since October 1998. Note the red line which points to the level of the reservoir at capacity. 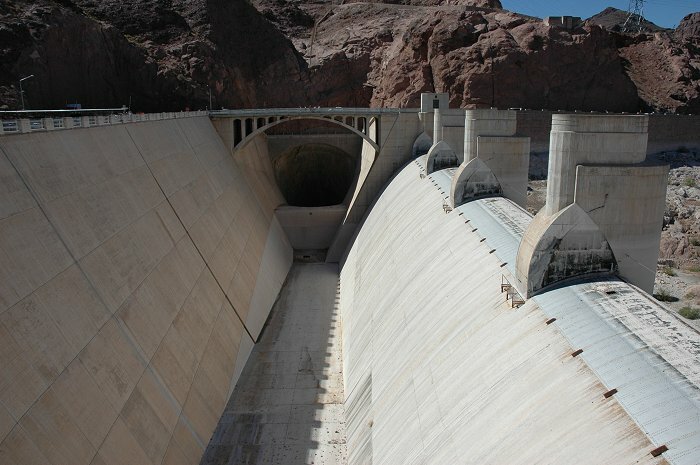 The structure on the right is the spillway used when the reservoir reaches capacity. This is the same structure, spillway, shown in the above photo. far left also indicates the level of the reservoir at capacity.